Honestly, I need an Etsy store for all of my craft project overages (or I need craft counseling). 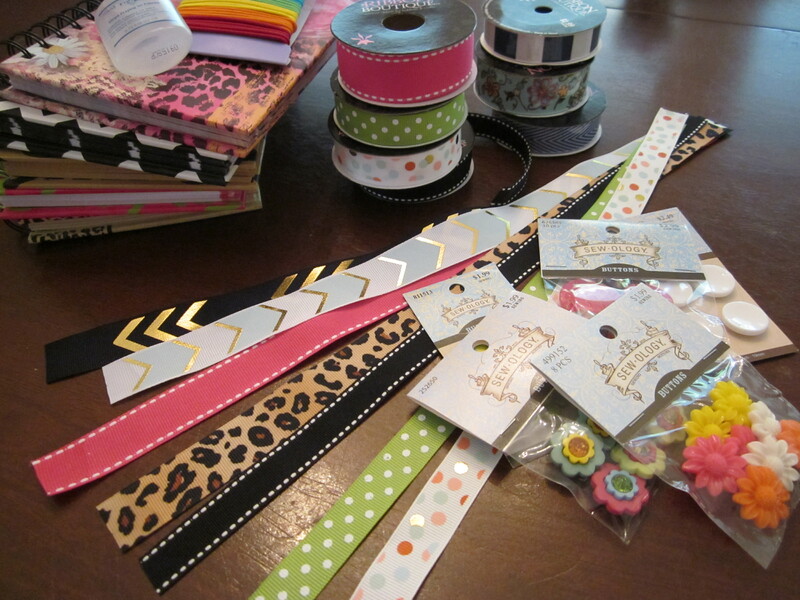 Currently, I am over-producing ribbon bookmarks to wrap around journal books. I was testing an idea to make some riboon bookmarks to give to my children’s teachers for Teacher’s Appreciation Day on May 3. 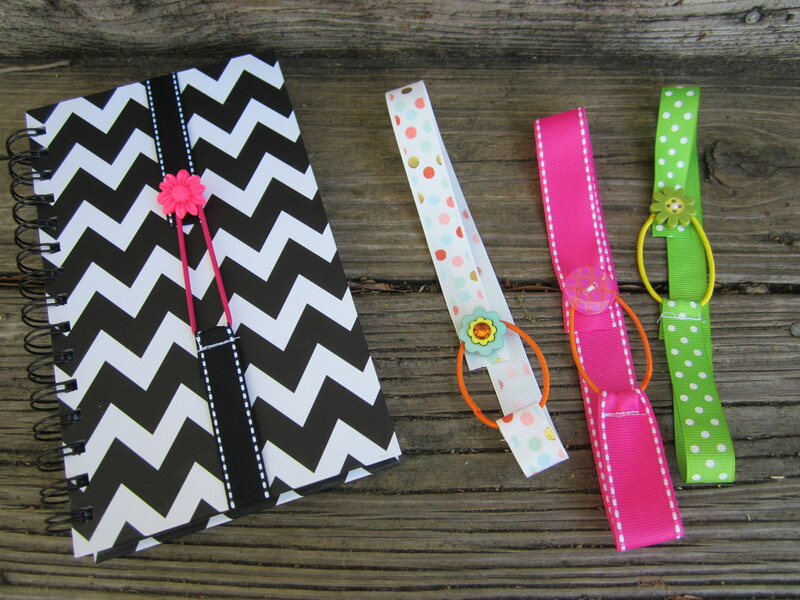 Come to find out, the ribbon bookmarks are easy to make; the color combinations look super cute, and I like making things in large batches. I thought these would make nice teacher gifts because, as a teacher, I always need something to mark my page in all of my teacher materials. Teachers use bookmarks for class novels, textbooks, manuals, planning books, grade books… I currently have about 8 Post-it notes, 3 notecards, and 11 scraps of paper peeking out of the stack of teacher books near my school computer. 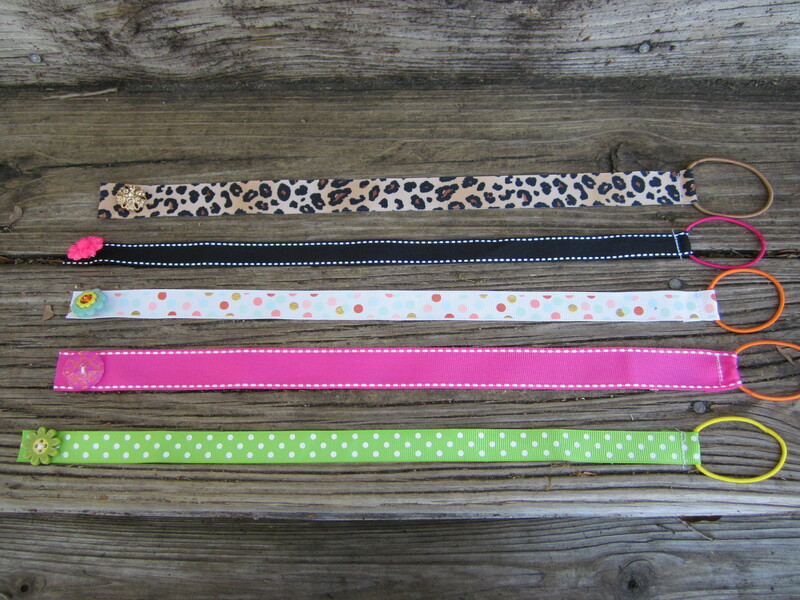 A few ribbon bookmarks would definitely come in handy for me. Plus, they have the added benefit of not dropping out of the book when I pick it up, and I can slide my scraps of papers with notes under the edge of the bookmark where it will hold. Cut strips of ribbon to match the size of the book you will use with your bookmark. 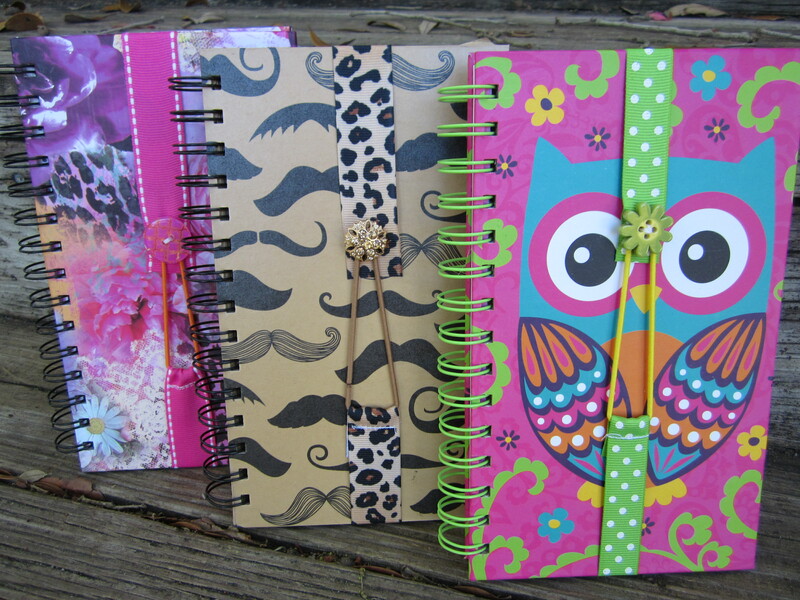 I used 5″ x 8″ journals, which are a similar size to a basic paperback book. I cut my ribbons to 15″. This allowed for the length of the attached rubberband not stretched too much and a little end piece to fold around the rubberband when sewing. Your finished bookmark stretches a little because of the rubberband, so the bookmark will fit a book that is a little bigger and smaller than the book you use as a guide for measuring. Drop Fray Check onto each end of the ribbon to prevent the ribbon ends from fraying. Let dry. Place the rubberband near one end of the ribbon and fold the ribbon end over. Stitch across the width of the ribbon with the rubberband held in place. You can hand sew or use a sewing machine. Loop the ribbon over and let the ends meet to see which side of the ribbon will need the button attached. 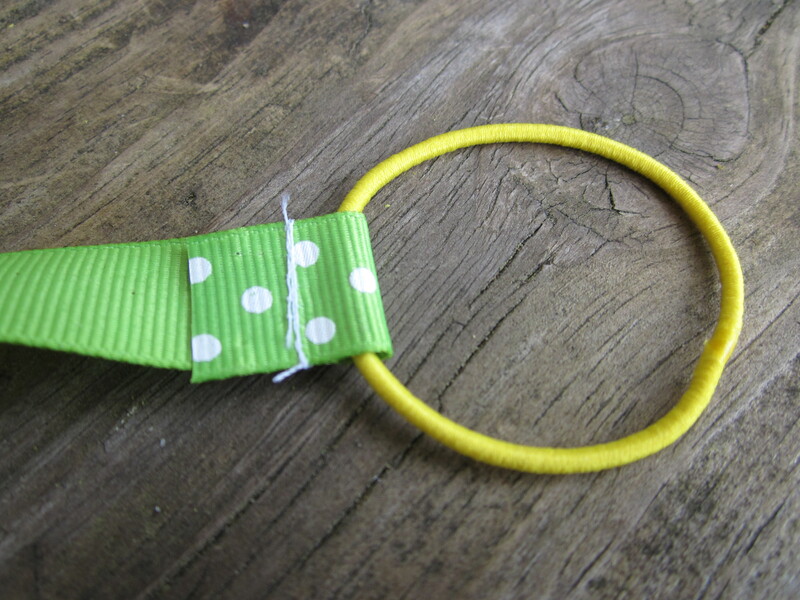 Sew the button to the non-rubberband end of the ribbon. The button should be attached with only a little ribbon showing beyond the edge of the button. i just made my first one to keep an altered journal closed – it’s getting really full. mine isn’t quite to so as yours…but it’s functional and it matches the color scheme of the journal. THANKS for sharing this super cute and super easy idea! i have a feeling i’ll be making a lot of more of these!